Direct marketing location finder to find local DEALS, PLACES & EVENTS easier near by... …or share your travel experiences with the community • free & without obligation! Promote YOUR BUSINESS & EVENTS… ...free or inexpensive! TRAVEL THE WORLD, collect impressions... …and share with the community! GET IN DIRECT TOUCH with the source… …to organize YOUR STAY better! Visit ATTRACTIONS... …or add and share with the community! Get informed about LOCAL EVENTS... …or and share with the community! Find HOT VOUCHER DEALS... …or add and share with the community! ENJOY YOUR STAY everywhere you are... …collect impressions & share with the community! Everyone in each industry has the same problem when it comes to increase profit. Best practise is to reduce cost and increase sales. However, often this applies to existing processes change partly very extensive, or adequately staffing decisions need to be made to compensate the necessary changes. A very fast & simple method is to “Increase Sales”. The appropriate capacities are profitable to consider, to pool recources possible (for example, idle time) to market them as low as possible. The commonly used marketing methods are often too set in design e.g. Print media, too complex e.g. Google Adwords (CPC/CPM) Online Media Keyword Search with constant price changes, too expensive e.g. Groupon -50% price reduction voucher models, or simply unable to reach specifically and locally customers according to their needs and to advertise his company even, flexible, rapid and cost-effective. 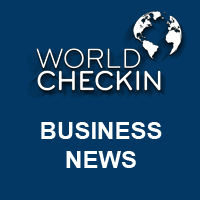 WorldCheckIn (WCI) is an online & mobile accessible (B2C) Local Business Marketing Directory used for online marketing initially in Gastronomy, Hospitality & Tourism industries to help all travellers around the world to be better informed & organized. As an interactive online community platform with a unique geo location function, WCI help it’s Users to add & find requested PLACES, DEALS, EVENTS & SERVICES of Restaurants, Hotels, Shops & more at their requested local Destination.